Hacking Tools are pieces of software or programs created to help you with hacking or that users can utilise for hacking purposes. Examples include Wep0ff – Wifi Cracking Tool, Brutus Password Cracker, wwwhack Web Hacking, THC-Hydra Network Login Hacking and pwdump/fgdump Windows Password Dumping Tools. More on Wikipedia. 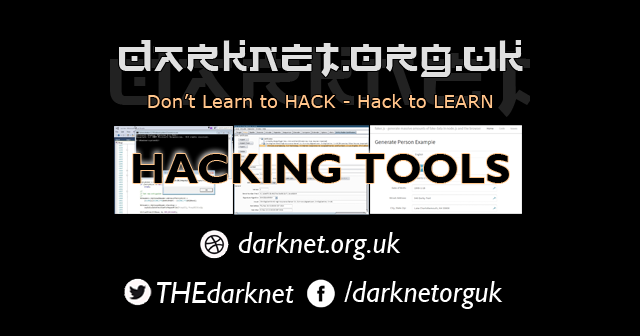 You can find the latest and best hacking tools below. There are various tools that are classified as too easy to use, or too automated and these fall into the category of Script Kiddie Tools. These are people who just follow instructions from a manual or tutorial without really understanding the technology or process happening. Examples of these tools would mainly be password cracking tools like Cain and Abel Password Cracker, Brutus Password Cracker and John the Ripper for Password Cracking.